Come sail the finest cruising grounds in Northern Europe upon one sailing courses, starting and finishing in Jersey. Take in the breath taking scenery, enjoy the pleasant weather, spot dolphins, all whilst learning how to sail. Not only is Jersey the sunniest spot in the UK but it also easy to get to from the UK with short and frequent direct flights from all major UK airports. All this and conveniently English speaking. Nearer to France but closer to home. 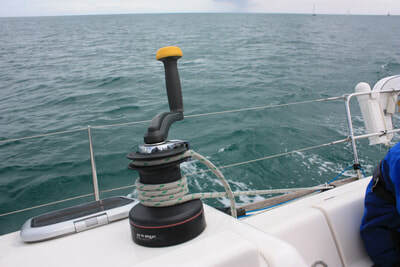 The essential starting point for your RYA training. 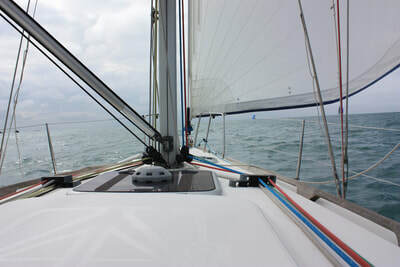 This 2 day course is a short introduction to sailing for novices. At the end of the course you will have a basic understanding of yacht handling under sail, including, steering a yacht, sail handling, rope work and be aware of safety aboard. 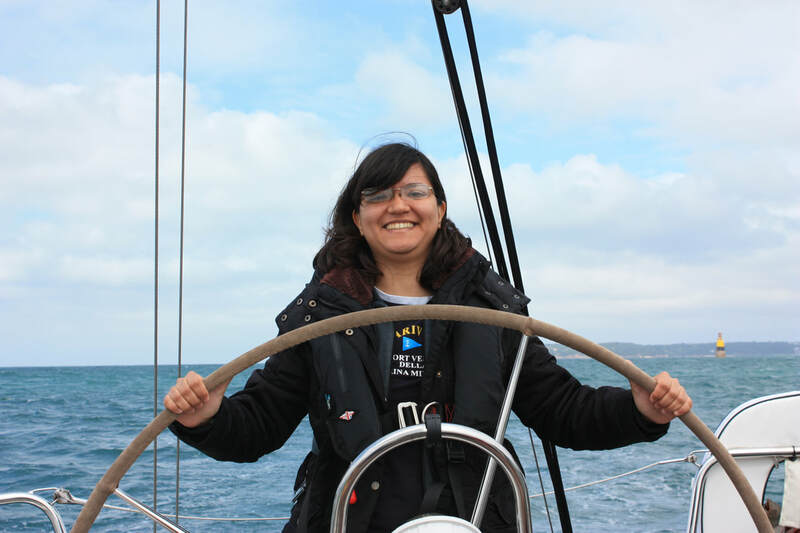 This course is aimed at having great fun, whilst learning about sailing a yacht. No previous knowledge or experience is required to join this course. During this course we will sail in local Jersey water. At the end of each day or session we will return to St Helier. It is ideally suited to the complete novice who would like to have a go at sailing for the first time and combined with Sailing Skills Level 2 is a great pre-cursor to the RYA Competent Crew course. 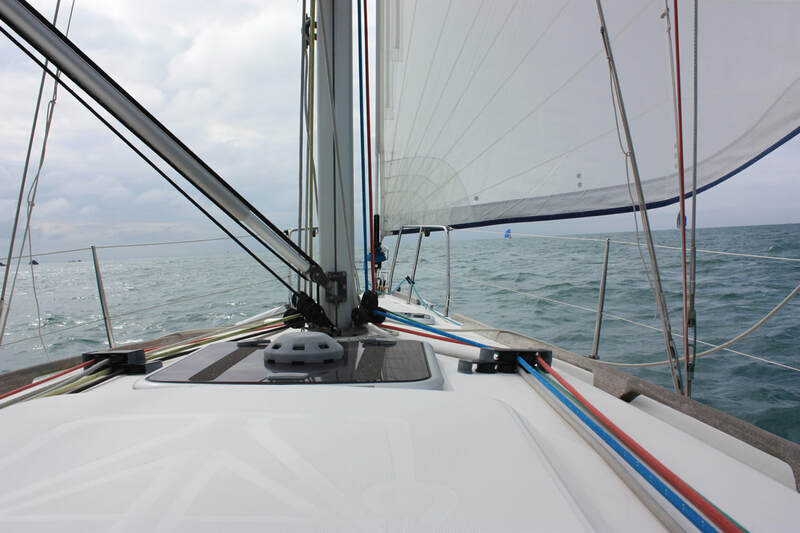 Once you have completed the RYA Sailing Skills: Start Sailing - Level 1 course it is recommended that students consolidate this introduction with the RYA Sailing Skills: Basic Skills - Level 2 course. Your next step to getting out on the water and more experience could be to join Go-Sail.je Crew Membership. Upon completion of the Sailing Skills courses you will be able to join a 3 day RYA Competent Crew course. The RYA Competent Crew course is normally 5 days, but completion of the Sailing Skills courses provides you the option to complete the course in 3 days. This course provides a short introduction to sailing for novices.